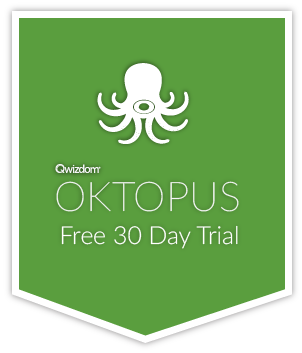 We’re delighted to announce that our latest and greatest version of OKTOPUS is now available! We’ve made some major changes to our polling support, by now making it possible to set up each slide as a specific question, with answer options and correct answer specified. We’ve also added in nested slides, so you can add a subset of slides to any standard slide. Based on community feedback, we’ve also added in additional shapes and set up a limit for significant figures. New Feature – Significant Figures. OKTOPUS will round to 3 significant figures by default. This option can be changed in Preferences. Improvement – New audio playback tool including a minimized view, resize handle, time seeker, repeat function, and volume control.